One of my favourite poems in your most recent poetry collection Burning in this Midnight Dream entitled “The Quandry” speaks to the significance and weight of dreams. Could you speak a little more about this poem and its title? Every person has an internal life where all their misgivings, their celebrations are stored. What to disclose, how it is shared is up to the individual and sometimes it’s just too painful, raw and shameful. What impressions does a person want to leave behind when they cease to exist? And in the sharing is it going to open doors to others so taboos can be broken? That is each person’s quandary. Shall I tell? Shall I not? Burning in this Midnight Dream addresses the realities of colonial violence and the impact of residential schools though these truths are, as you write in the preamble, “hard to share, hard to hear.” Can you speak about the importance of honouring these stories and truths through poetry? Tough question. Because poetry found me and story expresses itself through my poetry, who am I to argue against its voice? What have been some of the biggest obstacles or challenges you have faced as a writer? Challenges as a writer, I fear I will have been so emptied by all the previous work I have nothing left to create. Biggest obstacle has been myself. Do you have any mentors or peers who have been important to your development as a poet? If so, did they offer any valuable advice or encouragement that you have carried with you throughout your career? Patrick Lane has been my most important mentor. The honest and raw voice in his writing is what I respect and what I pursue in my own writing. What would a younger you be surprised to learn about your present self? The younger self would be surprised at how I am now able to use my social work skills to help others and to enrich my writing career. They feed one another. Neal McLeod has written about your work in relation to the process of mamâhtâwisiwin, the process of tapping into the Great Mystery. He describes your poetry in an essay “Cree Poetic Discourse” as belonging to a “body poetic, which connect our living bodies to the living earth.” I am curious to know what the process of mamâhtâwisiwin means to you and to the way you understand or think about poetry. Mamahtawisiwin – the process of tapping into the Great Mystery. It means that one is gifted in unique ways and that I honor the uniqueness of voice. Everyone is filled with the flame of spirit. It’s up to us to discover how spirit expresses itself when it is honored. I have long admired how you utilize sound and texture in your poems. I’m curious to hear about your relationship with the orality of poetry, breath and the dance of language. Nehiyawemowin. Cree is my first language and I am as fluent as I can be. It is a poetic and description language. It dances on the tongue, on the landscape and spiritual atmosphere as well as its emotionality. In an interview recently on CBC, you discuss your love of the Cree language and explain that “the whole writing experience brought me back to ceremony and back to my elders, it was a rediscovery of who am I and where did I come from.” Are you able to speak a little more on how your poetic practice and the “writing experience” has brought you closer to your community and to your own identity? It was through the ceremony of the Vision Quest and the words of the Elder that I have honored this process of writing. He said, “You will write from the pages of the universe and you will meet like minds.” Something like that. Ceremony, sharing of experiences and story, language and modern psychology/psychiatry helped me mend and to reinforce my identity. Selina Boan lives on unceded Musqueam, Sḵwxwú7mesh, and Tsleil-Waututh land. She was shortlisted for the 2016 CBC Poetry Prize and her work has appeared in The New Quarterly, Ottawater and In/Words Magazine, among others. 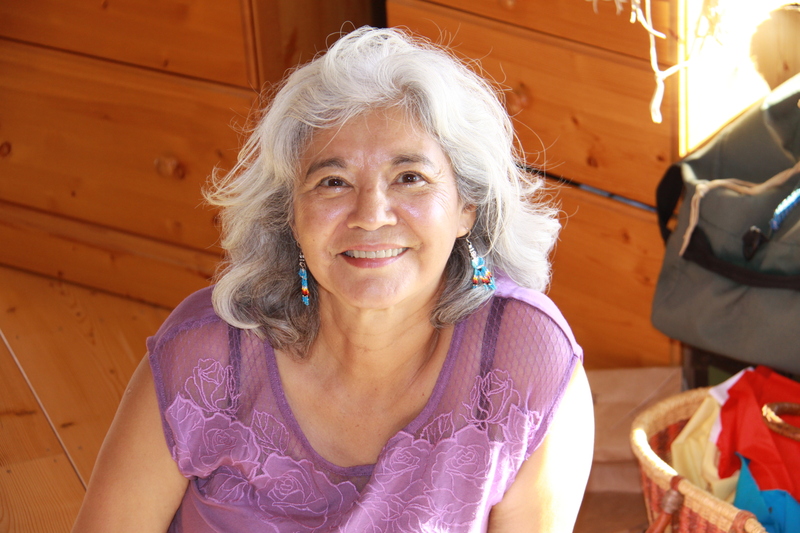 She is currently working on a collection of poems exploring her Cree and European heritage.